A strong market position with weinor! Become a retailer and partner now! 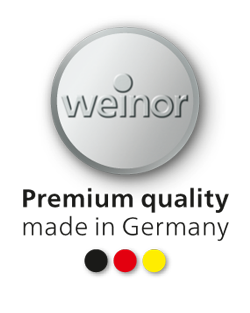 weinor is a well-known specialised trade brand and market leader in Northern Europe for sun and weather protection on patios. We only supply selected specialist retailers to provide the highest quality to the end customers. The long-term and intensive business relationships with our specialist retailers are characterised by a trustful, equal and success-oriented partnership. Everything from one single source: weinor awnings, patio roofs and Glasoasen© are components of one system. Colour, shape and materials: Everything matches perfectly. 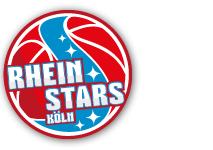 High quality demands: We produce our products under strict quality requirements in our factories in Cologne and Möckern near Magdeburg. At both locations, we have our own in-house powder-coating department to be able to meet the highest standards also in terms of colour. Personal and comprehensive support by our back office and field service employees. You would like to become one of our strong weinor partners? Then fill in the enclosed form. We will contact you at short notice! We will then clarify everything else in person. Our tip: Come and visit us at our large showroom in Cologne. Here we present to you all weinor highlights relating to our awnings, patio roofs and Glasoasen© in a wonderful atmosphere. We will be pleased to show you our showroom. Simply state in the form below when you would like to visit us. I would like a weinor sales representative to get in touch with me to arrange an appointment to visit me soon. I'm interested in visiting the weinor showroom. Please contact me in order to make an appointment. I agree that my personal data as collected in this contact form (name, address, telephone number, e-mail address) and the information I provide in this form can be stored, processed and used by weinor GmbH & Co. KG, Mathias-Brüggen-Strasse 110, 50829 Köln, Germany, as the manufacturer of weinor products, for the purposes of contacting me, providing advice and concluding a contract as a retailer/partner.